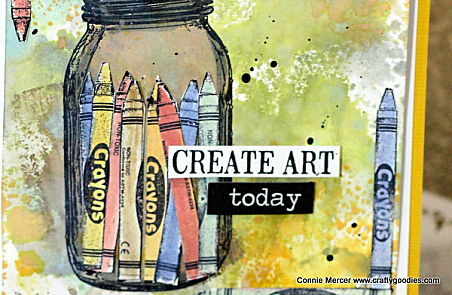 crafty goodies: Try It Tuesday~ scraps, save them! Wanted share a card made from pieces I saved. The background was created using Distress Oxide inks on watercolor paper. The crayon image was stamped on white cardstock and cut out individually. images are stamps by Darkroom Door. Now this is totally fun! 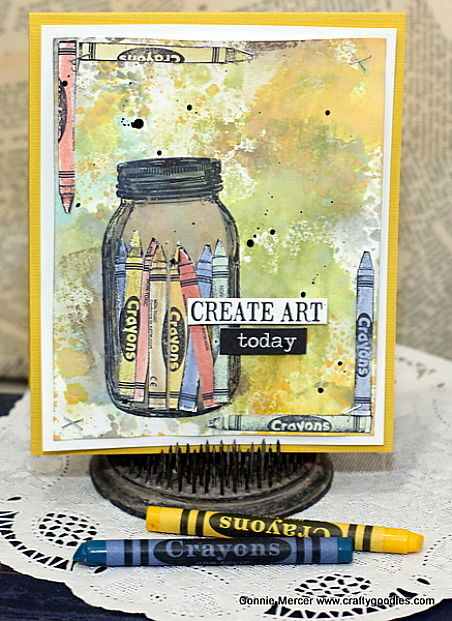 I have always loved the jar stamp from the first time you used it. You did a marvelous job on placing the crayons "in" the jar. Fun card. So gorgeous! LOVING the Crayons!!!!!!!!!! Connie, this is adorable. Just wanted to stop in and say hi! I read your blog posts but havent commented in awhile! Amei os lápis no vidro.Parabéns.Beijo.Valéria.